When God fills a person with the joy and peace that comes from believing, even stoney hearts want to cry out to the King of heaven. Because the Holy Spirit emboldens believers with hope that God will save them, they already begin to be that New Jerusalem coming down from heaven (Rev 21:21). Their praises and hosannas adorn them as the Bride of the King of kings and Lord of lords (Rev 19:16). They are lifted up to a greater height than the Judaean mountains where the Jerusalem of old housed the Temple. God’s people are the New Jerusalem, having become the living temple of the King. God dwells with and within them (1 Cor 3:16, 6:19; Rev 21:3), inhabiting their praises (Psa 22:3). It is there, within the Israel of God (Gal 6:16), that the Lord is one. His name also becomes one in the holy, catholic Church where we name the Father, Son, and Holy Spirit the one, true God. 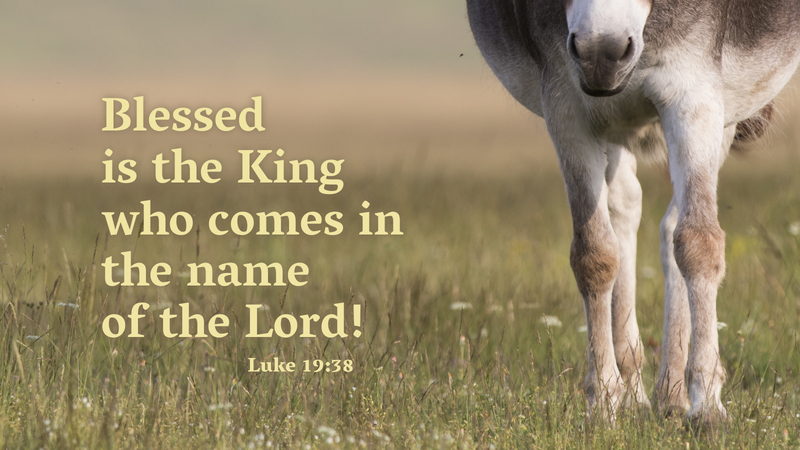 May your heart cry out in joy and peace with the whole Church, saying, “Blessed is the King who comes in the name of the Lord!” And may his Spirit sustain you with all hope in believing.